The perfect gift for a newborn baby boy at the hospital or sent to the home. 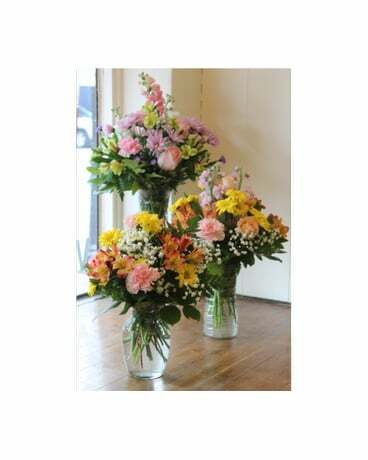 In a yellow and white colorscheme, this arrangement will include a variety of carnations, alstroemeria, miniature carnations, chyrsanthemums, and baby's breath. 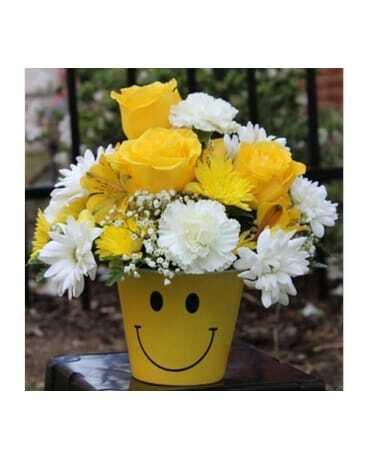 This arrangement is designed in the footprint burton+Burton container. Reusable container, melamine, shatter resistant. Not for food use. 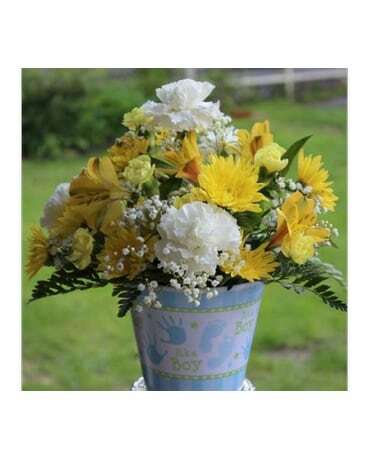 Arrangement will have an assortment of flowers pictured, however shades/colors may vary but will keep with the overall yellow and white colorscheme. 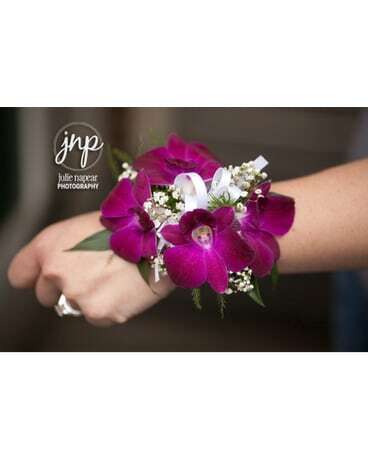 Deluxe or Premium price points will include roses or lilies or gerbera daisies added to the as shown flowers.